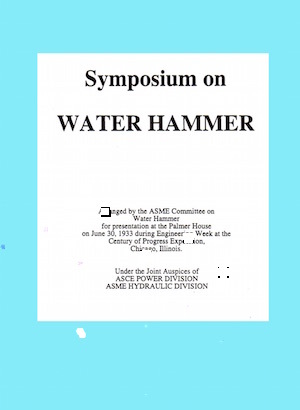 The definitive engineering papers on water hammer theory and practice. 1961, 1931 and 1949 proceedings included. 156 pages of intensive science and physics. Can't repeat Keely's etheric vapor accomplishments without this knowledge! Extensive research has shown that ether (1st order) is dissociated water which can be generated by cavitation, acoustic shock, water hammer, electrolysis or radiolysis. 8.5" X 11" 158 pages.